IBC is the world’s leading media, entertainment and technology show, it is held in every september in beautiful Amsterdam, Netherlands. IBC 2017 is the 50th anniversary, it was held from 15th__ 19th September in Rai Amsterdam. 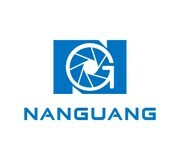 Nanguang stand is in Hall12, E10. Now, let us review Nanguang exhibition in IBC 2017. There are two sections in this exhibition, one is the professional LED studio lightings, the other section is the portable LED lightings. The RGB lights are amazing and catches many people’s eye, they beyond your imagine how portable and functional they are! They are the witness of the progress which made by Nanguang. That is all about Nanguang in IBC2017, we hope to meet you next year in the same time!